This piece originally appeared in Dark Tales of Lost Civilizations, edited by Eric Guignard. The anthology was nominated for the 2013 Bram Stoker Award by the Horror Writers Association. only that he had married Sira not long ago, and they had recently produced a child. I had never once seen him here, in this kiva. He may have worshipped in his own—I could not say. But this kiva was mine and I had never seen him here. “He must be buried immediately,” said Honovi’s mother, blotting her tears with a frayed cloth. It was a reasonable thing to ask. He had not disturbed anything, but I could not help but feel uneasy about the message. And why had he bled himself here, of all places, when he could have just as easily returned his water to the earth in his own house? Honovi’s mother and sister broke into loud weeping at this. My own family looked at me with questioning eyes, but I did not care. This man had defiled my home and I wanted to know why. I had requested that one of the cacique’s assistants come to investigate the scene. I did not expect for the cacique himself to appear in my doorway, alone, with none of his usual sycophants. I would have thought Cacique Koa’ki had more important matters to attend to, but I suppose Honovi’s message caught his attention as vividly as it did mine. “I wish to speak to you alone, Kala,” he said, using my childhood name. Anyone else, even my family, would have gotten a tongue lashing for speaking to me in such a manner. But he was the Cacique, so I ignored the disrespect. He gave me a slight nod and we descended the ladder into the prayer chamber. The paintings of the kachina spirits eyed us as we entered. At the bottom, Koa’ki touched one knee to the ground and brushed his fingers against Honovi’s arm. I peered over his shoulder. Even though the dried blood blurred the edges of the symbols, Honovi had carved into his flesh deep enough to retain the meaning. “It is as you said.” Koa’ki placed his hand over Honovi’s face and lowered his eyelids. Koa’ki climbed up the steps and onto the stone plateau, followed by a few solemn assistants in ornate robes. Most of them were old men, accompanied by a few women, just as old. When I was younger, I had asked the cacique—Koa’ki’s predecessor—for permission to study with him. I was denied, not because I was a woman, or even because of my age, but because I had not rejected the old gods as they did. I expected my people to cry out in anguish. I expected them to fight back—violently, perhaps. I was too optimistic. I saw relief wash over the faces of those nearby, disgusting smiles spreading across their faces. My own family, who I hoped would feel betrayed as I did, joined the rest in excited chattering. I could not answer her. My throat tightened, and I began to worry that my anger would suffocate me. I worked hard—sewing garments all day, firing pots instead of sleeping at night—to afford a home in the High Palace for my family. It had taken even longer to obtain our own kiva, so that I could pray to the old gods without any disapproving glares. The cacique wanted to take it all from us. I forced myself to breathe. I spat on the ground. How dare he invoke our ancestors, the ones who built our homes and blessed us with rain and harvest? It was only when we turned from them that they revoked their gifts. I glanced at my sisters, who nodded in agreement. Hwara’s girl-child clutched her spirit doll to her chest and turned her eyes away. 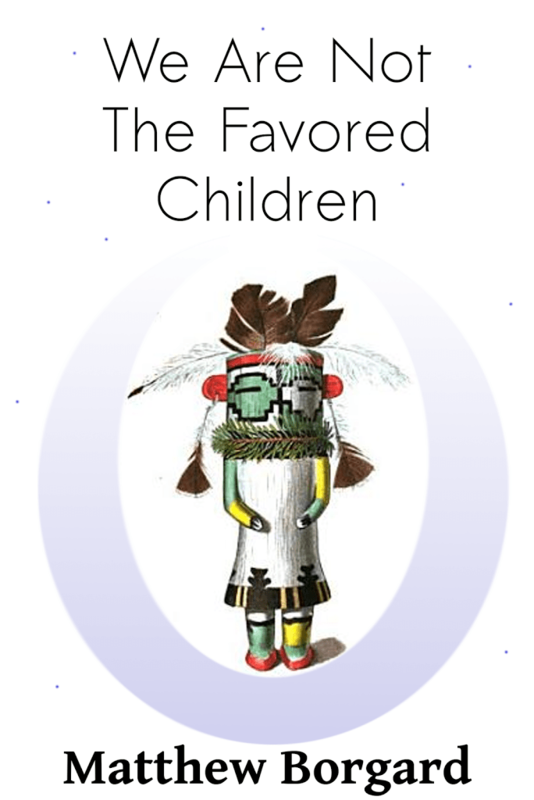 I often voiced my disapproval of the kachina figures and the children had learned not to flaunt them in front of me. It wasn’t as though I disbelieved in the spirits, but to me, the dolls represented a desertion of the old gods. Wasn’t there room for both? But now was not the time to reopen those wounds, so I gave the girl a smile, knelt down and kissed the top of her head. Hwara snapped her fingers at the two older children and pointed them toward our home. Her husband, Terala, and Mother followed after them. I did not answer her, so she turned from me and walked away. Koa’ka was still conversing with some of our people. I hoped that a few of them possessed the same concerns as me, but instead, they seemed only to be praising the cacique’s holiness and begging for blessings to keep their families safe. I waited for my turn, as I did not desire to speak to Koa’ka amidst all the adoration. I approached him when he was at last alone. He pretended not to see me, so I spoke first. I had bitten my tongue long enough. “My name is Mansi’kala, Cacique.” It was a name I’d earned in my consecration, and with all the things he wished to take from me, I would not allow him to have this one. I felt the tips of my nails cutting into the palm of my hand. Were this anyone but the cacique, I would have struck him down with a single fist. “I have not found a husband because I do not want a husband. I have a family, Koa’ka. I work hard for them, and for my people.” I thrust my hand forward and Koa’ka flinched, but instead of striking him, I flicked one of the leather strips hanging from his ceremonial headband. He was goading me. He knew his words would infuriate me. “The old gods do not visit the High Palace anymore!” I said. I folded my arms across my chest. “If you will not send them, I will go alone.” The Lowlanders did not frighten me. If I was right, the old gods would protect me. If I was not, then I was already lost. I watched Koa’ka leave. I was filled with such blinding rage that I could do nothing except stand in the courtyard and feel Tawa’s rays burning my skin. Tawa. The god of light. The god that my people no longer believed in. I watched the sky for hours, hoping for some sort of sign. But Tawa simply fell toward the horizon, as he did every day, lighting the heavens on fire. Dusk drew near, and I had no answer. If there was to be any chance of saving my home, it would be in the Lowlands. The High Palace was unusually quiet tonight. Normally the children would be taking advantage of the last of the daylight, but a malaise seemed to have possessed the village. My people should have been making the most of their last night here but, instead, they were cowering in their houses. If this is what had become of us, perhaps we no longer deserved our home. Inside my own house, my family had arranged our possessions in a pile. Put together, they looked so small and meaningless. A few sets of clothing, some utensils, some kachinas, a pair of bows and accompanying arrows. Water. A few sacks of vegetables, nuts and grains. This is what my life was worth. I thanked my sisters for their help, and Hwara’s husband as well, though he only grimaced in response. He had never liked living with me, though he never voiced displeasure with eating my food or sleeping under my shelter. Hwara glanced at her husband, who nodded. It was a common gesture between the two. It meant that Hwara wanted to speak with me alone. “Come back? Come back from where?” Hwara straightened her back. She liked to flaunt her height when she was angry with me. I needed to find for myself the meaning of the words Honovi carved into his skin, but I could not tell Hwara that. She accepted things too easily. If the cacique said the sky was brown, then it was brown. “I don’t know. But I have to go.” I started to gather what I would need for the night. Nuts to quiet my stomach, a waterskin to quench my thirst, and one of the two bows to fend off any of the Lowlanders I might find. “You cannot forbid me to do anything,” I said, strapping a bag of arrows over my shoulder. I stood paralyzed by Hwara’s sudden affection. She sobbed into my shoulder, pleading for me not to leave. At last, I circled an arm around my sister and kissed the side of her face. “If I don’t come back, you will do what you’ve always done. You’ll be a better daughter to Mother than I ever was. You’ll be a better wife and mother than I could ever be.” Though I’d always considered myself more capable than my older sister, I still looked up to her, in a certain way. I had never told her. “Momma,” came a voice from the room behind us. Hwara released me and turned. Behind her, I could see her girl-child, Ankti. “Is Aunt Kala leaving?” The child looked at me with puffy red eyes. “Now,” I said, checking the knots on my belt one last time. “But you’re coming back,” she said simply. “Thank you.” I took my sister’s hand in mine, squeezed it, and walked out into the night. My eyes adjusted quickly to the darkness, and I was thankful to be blessed with a cool breeze. Most of the paths in the Lowlands had been erased years ago, but the faint few that remained were enough to guide my way. I encountered little in the way of wildlife, which was to be expected. It was hard enough to find game even when looking. At one point, I heard a rustling in the grass. Afraid that the Lowlanders had spotted me, I stuck my back to one of the large, wilted spruce trees and peered from over my shoulder. After a few terse minutes, I spotted the culprit: a famished weasel, no doubt hunting for his dinner. I tried to offer him a few of my nuts, but he dashed off as soon as he saw me. Poor creature. The gods had been as cruel to the animals as they had to us. I continued on, treading for hours through the water-starved grasslands until I reached the village of our ancestors. My grandfather’s generation had left it behind when the Lowlanders began their war and worn bricks that had once been buildings were all the remained. The Lowlanders hadn’t taken it for their own, or if they did, it had been a brief occupation, as there was no reason to stay after the creeks dried up and the herds moved on. The village itself sat in the shadow on a large hill. This, I knew, was my destination. I had only been here a few times, as a girl. My father brought me and my sisters here to show us the place where our ancestors worshipped. It was my father who told me never to forget the old gods. The entrance to the Low Temple, a cave in the side of the hill, had been sealed with several large boulders to stop the Lowlanders from getting inside the sanctified chamber. 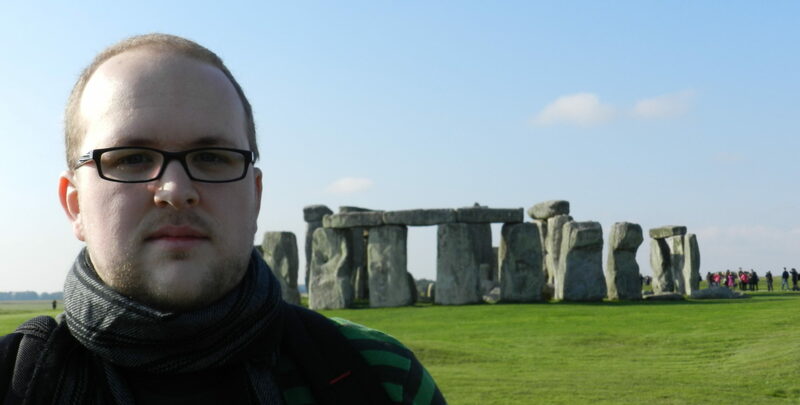 As my father told it, the plan didn’t work; the Lowlanders simply moved the boulders to their current resting place beside the entrance and looted the few offerings my people left behind. As I stepped over one of the large rocks, I again heard movement among the nearby grass. At first, I assumed it was the weasel, back to take me up on my offer, but then I heard the voices barking into the wind. As quickly and silently as possible, I ducked into the Temple. I held my breath but kept my eyes open. The voices grew louder and soon I saw a faint light creep into the cave. A moment longer and I saw them—five Lowlanders with torches and spears, a hunting party by the look of it. I could not say why they would be out at this time, other than to guess that they were as starved as we were. They didn’t notice me and they didn’t pay any attention to the Temple. They passed by and soon the light of their torches faded into the distance. I exhaled and rolled onto my back, letting my nerves calm before progressing any further. The Temple, if it could still be called that, was dusty and overgrown. Near the back, I could make out the faint outline of a small, cylindrical stone pedestal. I put my hands to its surface and found several large cracks running throughout. Any more force and I would have broken it entirely. From one of the pouches on my dress, I took a handful of seeds and placed them on the top of the altar. Then, using the tip of my finger to sort them, I picked the largest of them and placed it between my teeth. I sat, closed my eyes, and waited. I focused on the image of Honovi. I focused on the message in his arm. I focused on the memory of my father, which had grown fainter and fainter as the years went by. My body tensed and my muscles relaxed as the breath of the gods filled my veins. I saw Honovi. He sat, legs crossed, in front of me, a serene smile on his face. I reached out to touch his arm. The message was gone, and his skin was as smooth as mine. Honovi’s smiled widened, but he did not answer me. And suddenly, the wind left my lungs. I coughed, grasped my throat, and fell to my knees. My vision blurred. I reached out toward Honovi, but he made no movement to help me. My eyelids fell and the world went black. In the darkness, I felt a powerful hatred fill me. I heard otherworldly voices in my head, though I could not make out their words. These were not the kachina spirits that visited us in the High Palace. These were the old gods: frightful, commanding. I panted and flailed in the darkness. I held my arms against myself and shivered. A chilled despair overwhelmed me. You are not our favored children. My blood ran cold. This is what Honovi had seen. The old gods had visited the High Palace, but they had not brought a message of peace. I was filled with such devastating anguish at that moment that I wanted nothing more than to lay on my back and die. It felt as though all that was good had left the world. The voice only laughed at me. It taunted me with images of the High Palace in ruins. I saw bodies, hundreds of them, and many more sick and dying. I saw our lands, dried out and desolate. I cried out for the voice to stop. As my screams grew louder, the visions faded. The voice dissipated, repeating its warning again and again. The old gods had abandoned us, just as we had abandoned them. When I opened my eyes, the Low Temple had returned just as I had left it. I found myself on the ground, shivering like a frightened animal. I lay there for a long while, reflecting on the message the old gods had sent me. I understood now why Honovi acted as he did. There was no right path for me to take. Nothing I could do to help my people. As I rolled onto my side, I felt Cha’kwaina, my niece’s kachina, roll with me. It landed on the ground next to me, still attached to my dress. I picked it up and stared into the slits that acted as eyes. The kachina didn’t answer. He simply continued to smile, taking pleasure in my pain. I gripped him hard, tore him from my dress, and tossed him against the rock wall. He hit less forcefully than I’d imagined, landing on the ground with nothing more than a faint stirring of dust. I turned my head from it and began to hear a strange laughter. I felt my pulse quicken, afraid that the gods had returned to torture me. But this wasn’t the same vile laughter from before. Instead, it was the high-pitched, mischievous laughter of a child. Behind me, I saw Cha’kwaina float up from where I’d discarded him. A peculiar jade glow surrounded the doll, illuminating the cave and forcing me to shield my eyes. I had seen the kachina spirits appear before, in the kiva of the High Palace. But not like this. Never like this. With his stubby, fingerless arms, Cha’kwaina raised his bow. At once, a green arrow of light appeared against the string. The doll pulled it back and fired it into the wall behind him. The light from the arrow splattered against the rock like spilled dye and began to spread out to all corners of the cave. The light enveloped me, and when my eyes adjusted, I was no longer in the temple. This vision did not fill me with dread, but with confusion. I saw layers of grey bricks piled up to create massive structures that stretched into the sky. I saw the ground layered with black rock. I saw great beasts of shining colored stone moving past me with daunting speed. I saw many people, but they were not like me. They had pale skin and wore strange clothes. Above me, I saw Tawa rising into a shimmering blue sky. “What is this?” I asked Cha’kwaina. He only tittered in response. This vision seemed no more useful than the one the old gods had sent me. Cha’kwaina raised a single stubbed arm and pointed behind me. I turned, following the doll’s gesture, and saw a pair of figures behind me. My heart pounded. Though they were dressed in the same strange clothes as the pale men, I would have recognized them anywhere: Hwara and Ankti. No, not quite. The faces were different—a lowered eyebrow, a wider lip—but I still knew them. They were family. They were my people. My legacy. And the answer came to me. Both. My blood flowed in my sisters. They would survive, even without the favor of the old gods. If they no longer needed us, then we no longer needed them. Somewhere behind me, I heard more voices crying out. I did not let them distract me. I kept my eyes on the child, watching as she stepped past me and walked, hand-in-hand with her mother, into one of the large buildings. I wanted to follow her, but I found that my feet would not move me forward. The voices grew louder. One last laugh from the kachina and it fell to the ground, extinguishing the vision around us. I was back in the Temple now. The Lowlander hunters stood in the mouth of the cave, balancing their spears deftly in their hands. The front one shouted a curse at me. I had nothing to say in reply. In my head, I saw the spear flying through the air even before it left his hand. I slithered backward and the spearhead missed my thigh by only a hair. I pulled an arrow from the quiver on my back, nocked it into my bow, and fired. I was not the best archer, especially at night, but from this distance I did not need to be. The arrow pierced his neck and he fell to the ground. I did not have time to savor the kill. Before I could reach for another arrow, two of the other hunters flung their weapons toward me. One missed, clanging uselessly against the wall. The other sailed into my shoulder. I screamed. A haze fell over my vision, and the pain in my arm prevented it from reaching for my quiver. With my other hand, I retrieved an arrow and fired it. This one entered the leg of one of the hunters, but it seemed like a shallow wound. One of the remaining men stepped forward, appraised me for a moment, and threw his spear. To my surprise, I hardly felt it impale my chest. As I slumped against the Temple’s altar, I felt a jostling on my legs. Cha’kwaina had appeared in my lap. I picked him up and squeezed his soft wool skin against my face. The warmth left my body, and I took comfort in his.